Matthew Pinkham was shelling out more than $600 a month for health insurance before the launch of Healthcare.gov. 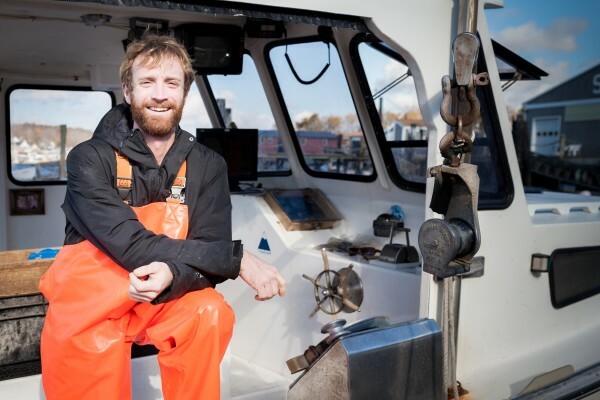 That was on top of nearly $10,000 in medical bills the Boothbay lobster fisherman paid off over four years after injuring his knee, money he needed to scrape up because he hadn’t yet met his plan’s high deductible. Now Pinkham pays about $100 a month for a plan he purchased through Healthcare.gov, the federal government’s health insurance marketplace created under the Affordable Care Act. The plan, which he bought through startup insurer Maine Community Health Options, kicks in after Pinkham spends just $500 out of his own pocket. He qualified for financial assistance to help him pay for his coverage, part of subsidies available to consumers based on yearly earnings. “It adjusts to your income, which is really important because a fisherman never knows year to year,” Pinkham said. He hopes to renew the plan for 2015. On Saturday, he can. The second open enrollment period for Healthcare.gov launches Nov. 15, with memories of site’s botched rollout still fresh for many. The Obama administration has said the site will work better, handling twice as many shoppers as it did on the busiest day of the first enrollment period. More than 44,000 Maine residents signed up for private coverage through Healthcare.gov during the first open enrollment period, which officially ended in March. While technical glitches initially stunted sign-ups, Maine went on to enroll about 36 percent of eligible residents, ranking eighth nationally, according to the Kaiser Family Foundation. Most Mainers get health insurance through their jobs or government programs, such as Medicaid and Medicare, and aren’t eligible to buy plans on Healthcare.gov. The site is geared toward a smaller group — those who purchase their own health coverage in the “individual market,” such as the self-employed and part-time workers. Those consumers historically have faced some of the highest prices and skimpiest coverage. Across the country, consumer advocates are gearing up for Healthcare.gov enrollment events at libraries, churches, festivals, sporting events and community meetings. Their efforts will largely target the estimated 15 million uninsured Americans, many of whom are most likely to benefit from Healthcare.gov yet less likely to know about the marketplace and its financial subsidies, including those with lower incomes and less education. Experts also say finding new customers will prove challenging, because the consumers most motivated to enroll already signed up during the first round. Just as Healthcare.gov goes live for a second time, consumers remain confused about the sign-up process. Nine out of 10 uninsured Americans say they don’t know when open enrollment starts, according to the Kaiser Family Foundation’s October health-tracking survey. Two-thirds reported knowing nothing or “only a little” about the marketplaces, and more than half didn’t know financial help was available to help them pay for coverage. In Maine, 90 percent of enrollees qualified for tax credits to offset the costs of their monthly premiums or discounts on out-of-pocket costs, according to the U.S. Department of Health and Human Services. Earlier this week, President Barack Obama’s administration slashed expectations for 2015 Affordable Care Act enrollment, aiming for a total of 9 million to 9.9 million people, 30 percent lower than a Congressional Budget Office forecast of 13 million enrollees. As of October, 7.1 million people were enrolled in Healthcare.gov and state-run health insurance marketplaces, according to the U.S. DHHS. The prospect of increasing penalty fees for those who forgo insurance may spur many to sign up. Anyone who lacks coverage — unless they qualify for a hardship exemption — must pay the fee, which rises sharply next year to 2 percent of annual household income or $325 per adult and $162.50 per child, whichever amount is higher. In a promising sign for enrollment, more than half of uninsured Americans plan to sign up for health insurance, according to a recent Gallup poll. Another 35 percent say they’ll instead pay the fine. U.S. DHHS has touted its efforts to streamline the Healthcare.gov application process, hoping to boost enrollment. Consumers can browse plans without logging in or submitting a full application and must navigate 16 Web pages rather than 76, which was the case for 2014 coverage. Healthcare.gov was designed to simplify the process of shopping for a plan, allowing consumers to go online to compare options, see whether they qualify for lower costs and choose affordable coverage that best meets their needs. Open enrollment for 2015 coverage kicks off Nov. 15 and ends Feb. 15, 2015. With a few exceptions, consumers who buy coverage through Healthcare.gov must enroll or re-enroll during that time or go without insurance until the next year’s open enrollment period. The three-month sign-up window is half as long as last year’s. If consumers want coverage to begin Jan. 1, 2015, they must sign up by Dec. 15. Health advocates are urging consumers who signed up last year to update their information on the site, even though most will be automatically re-enrolled in their plans. Sitting back and doing nothing could amount to a costly mistake, they say. Many of the 7 million consumers already enrolled will see their premiums increase in 2015 unless they switch to another plan, according to a trove of data U.S. DHHS released Friday afternoon, the Associated Press reported. Insurers may have changed their plans from last year, such as by adjusting which doctors or medications are covered. Consumers also should log on to Healthcare.gov to update any changes in their income, or risk getting stuck with an incorrect financial subsidy, according to Emily Brostek of Consumers for Affordable Health Care, an Augusta advocacy group. Although the subsidies are based on consumers’ projected income for 2015, the site will pull earnings information from 2013 tax returns, which could vary greatly from the amount some people expect to make next year. Incorrect information could lead to sticker shock when premium bills arrive, advocates have warned. “We want people to be in the right plan at the right price and not leave any dollars on the table,” Brostek said. Mainers who signed up for insurance through Healthcare.gov the first time paid an average of $99 per month in premiums, about a third of the $282 per month they paid in 2010, according to the Kaiser Family Foundation. For 2015, Maine residents who buy insurance through the site can expect to pay less or the same amount on average each month for benefits, according to filings with the Maine Bureau of Insurance. While the rates will hold steady on average, some customers could see premium drops or increases. The plans also offer varying benefits and carry different deductibles and out-of-pocket costs, such as co-pays. Some consumers are calling for better clarity about what the insurance plans cover and what they don’t. Many were surprised to learn certain medications weren’t covered, including epilepsy patients who rely on the drugs to function day to day, according to Kristine Binette, field service coordinator in Maine for the Epilepsy Foundation New England. In some cases, insurers stopped covering the medications mid-year, offering less expensive substitute drugs that may not work, she said. Epilepsy patients often try multiple medications before landing on one that controls their seizures, according to Binette, whose daughter has it. Losing coverage for a particular drug can mean those diagnosed with epilepsy would stop driving or working for fear of seizures, surrendering their independence, she said. With just hours remaining before the second round of open enrollment starts, “the big message this time around is get covered, stay covered,” said Wendy Wolf, president of the Maine Health Access Foundation, which organized a statewide enrollment initiative called Enroll 207. This year’s outreach will include television commercials that feature success stories about Maine residents who enrolled through Healthcare.gov. Lobsterman Pinkham is one of them. “It was great. I was glad to get it, and the price was reasonable,” he said.